FREE Donuts!!!!!!!!!!!!!!!! 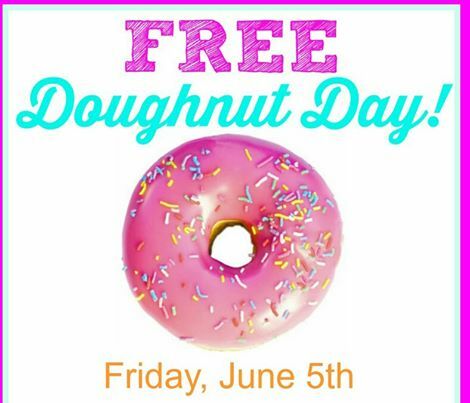 !Friday June 5th is National Donut Day and Krispy Kreme & Dunkin’ Donuts are celebrating by giving away FREE Donuts. On Friday, June 5th get a free doughnut at participating Krispy Kreme locations no coupons or purchase necessary. On Friday, June 5th get a free donut with any purchase at participating Dunkin’ Donuts locations. Previous post Volunteer and Race Free! Hello, just wished to explain to you, I enjoyed this post. It was actually funny. Continue posting!